Kristen Stewart, Jesse Eisenberg Cast in Woody Allen Next Movie? Kristen Stewart and Jesse Eisenberg: American Ultra. Kristen Stewart, Jesse Eisenberg to join Woody Allen movie cast? American Ultra stars Kristen Stewart and Jesse Eisenberg will reportedly be reunited later this year in another project: Woody Allen's next as-yet-untitled feature. Bruce Willis is the third cast member whose name has been publicly announced. The source for this information is an “exclusive” report via Deadline.com's Mike Fleming Jr. So far, as Fleming explains in his brief piece, Woody Allen and “his people” haven't confirmed the casting. In other words, things could change – or we may get a casting denial – in the not-too-distant future. See also: Kristen Stewart Joins Kelly Reichardt Movie Project, also featuring Laura Dern and Michelle Williams. Unsurprisingly, no plot details about the upcoming Woody Allen project have been forthcoming. In fact, one wonders if Kristen Stewart, Jesse Eisenberg, and Bruce Willis – in case they have indeed joined the fold – know what the movie is going to be about. Allen's latest collaborators – Letty Aronson, Stephen Tenenbaum, and Edward Walson – will be producing the film. Woody Allen's upcoming film, Irrational Man, stars Emma stone and Joaquin Phoenix. It will be released by Sony Pictures Classics in North America on July 24, '15. Best Picture Academy Award winner Annie Hall (1977), which earned Allen the Best Director Oscar. Cast: Diane Keaton. Tony Roberts. Christopher Walken. Carol Kane. Shelley Duvall. Paul Simon. Janet Margolin. Colleen Dewhurst. Cast: Woody Allen. Diane Keaton. Michael Murphy. Mariel Hemingway. Meryl Streep. The Purple Rose of Cairo (1985). Cast: Mia Farrow. Jeff Daniels. Danny Aiello. Dianne Wiest. Van Johnson. Edward Herrmann. Zoe Caldwell. Deborah Rush. Cast: Woody Allen. Mia Farrow. Dianne Wiest. Sam Waterston. Max von Sydow. Barbara Hershey. Michael Caine. Cast: Woody Allen. Mia Farrow. Dianne Wiest. Cast: John Cusack. Dianne Wiest. Chaz Palminteri. Jennifer Tilly. Jim Broadbent. Tracey Ullman. Douglas McGrath. Jack Warden. Mary-Louise Parker. Cast: Scarlett Johansson. Penélope Cruz. Javier Bardem. Rebecca Hall. Cast: Jonathan Rhys Meyers. Scarlett Johansson. Matthew Goode. Emily Mortimer. Cast: Owen Wilson. Marion Cotillard. Rachel McAdams. Kathy Bates. Adrien Brody. Michael Sheen. Carla Bruni. To Rome with Love (2012). Cast: Woody Allen. Penélope Cruz. Roberto Benigni. Ellen Page. Jesse Eisenberg. Alec Baldwin. Judy Davis. Greta Gerwig. Flavio Parenti. Ornella Mutti. Alessandro Tiberi. Cast: Cate Blanchett. Sally Hawkins. Alec Baldwin. Andrew Dice Clay. Peter Sarsgaard. Louis C.K. Bobby Cannavale. Michael Stuhlbarg. Tammy Blanchard. Max Casella. Alden Ehrenreich. Woody Allen in 'Hannah and Her Sisters,' with Mia Farrow. Clouds of Sils Maria (2014), which earned Stewart the Best Supporting Actress César. Cast: Juliette Binoche. Chloë Grace Moretz. Cast: Peyman Moaadi (a.k.a. Payman Maadi). Cast: Garrett Hedlund. Sam Riley. Kirsten Dunst. Amy Adams. Robert Pattinson. Taylor Lautner. Elizabeth Reaser. Peter Facinelli. Ashley Greene. Kellan Lutz. Nikki Reed. Jackson Rathbone. Billy Burke. Dakota Fanning. Michael Sheen. 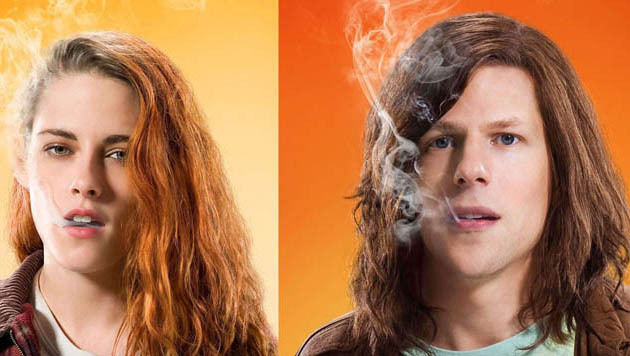 Kristen Stewart and Jesse Eisenberg: American Ultra image: Lionsgate Films. 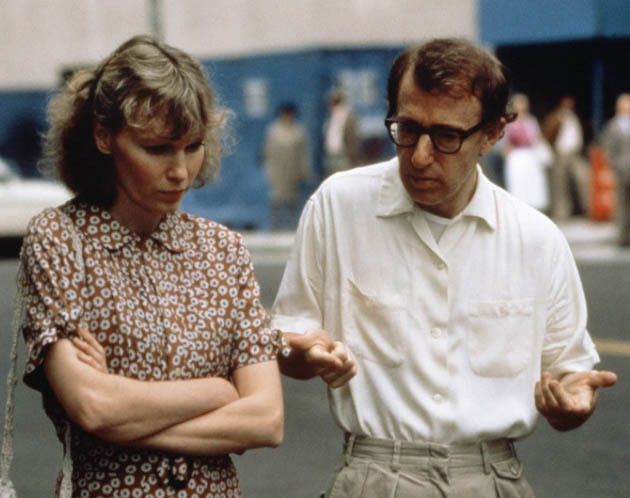 Mia Farrow and Woody Allen Hannah and Her Sisters image: Orion Pictures.